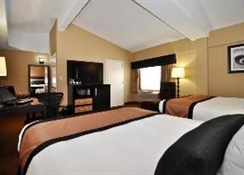 Travel is a breeze when you stay at this Newark, New Jersey hotel just minutes from New York City and the Newark Liberty International Airport. 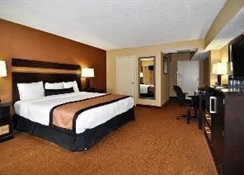 Discover all that Newark and nearby New York have to offer from the convenience of the sleek and modern BEST WESTERN PLUS Newark Airport West. 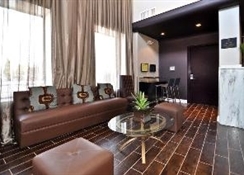 From museums and cultural attractions to dining and shopping, theres something for everyone near this Newark hotel. Shop to your hearts content at the nearby Jersey Gardens Outlet Mall, enjoy a show at the New Jersey Performing Arts Center or visit the awe-inspiring Statue of Liberty. New York City is just 10 miles away - ask our friendly staff about tours. For added convenience, we offer an affordable shuttle to many of these locations, plus the Prudential Center, Cape Liberty Cruise Port in Bayonne, NJ, and Newark Penn Station for easy access to New York City. 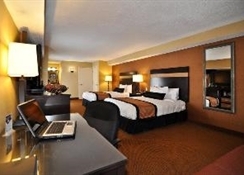 Corporate travelers choose this hotel near the Newark Airport because of its convenient location to the airport, as well as local business attractions like American Airlines, the Prudential Center, the University of Medicine and Dentistry of New Jersey and the Marjam Supply Company, Incorporated. This Newark hotel offers 1,000 square feet of meeting facilities, making it a perfect small event space in Newark. We offer a 24-hour complimentary shuttle to the Newark Airport, and the John F. Kennedy International and LaGuardia Airports are within 25 miles. The recently renovated rooms and lobby of this Newark hotel make guests feel at home with amenities that include stylish decor, 42-inch flat-screen TVs, free Wi-Fi, room service, refrigerators and microwaves. Guests are invited to enjoy a complimentary hot breakfast buffet or relax in our onsite restaurant and bar. 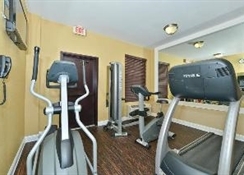 Other services at this Newark hotel include a 24-hour exercise facility, guest laundry, a business center and free parking. 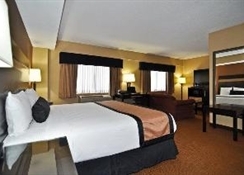 For an affordable and enjoyable trip to Newark and New York, book your stay at the BEST WESTERN PLUS Newark Airport West today!